The MTA is a large company responsible for thousands of properties throughout the city. If you were injured because of icy or wet steps, debris, or poorly maintained handrails, you may be entitled to file a lawsuit for your injuries. Just because the MTA covers such a large area does not relieve it of the duty it owes travelers. If you or a loved one was injured because of unrepaired or poorly kept MTA property, talk to an attorney today. The New York MTA premises liability injury lawyers at Sullivan and Galleshaw, LLP represent injury victims throughout New York City, and beyond. For a free consultation with our attorneys, call (877) 311-HURT today. The injuries people receive from accidents on MTA property vary greatly. Some injuries may be mild, but there is also a chance of serious injury or death for those who fall onto the tracks. Many times, the MTA takes safety precautions to prevent injuries and falls, but sometimes they fail their riders and allow serious injuries to occur. Falls can be a common problem, especially on icy subway steps or train platforms. Wet or icy surfaces create a risk of slipping and falling. Falling down may not seem like a serious accident, but landing in certain ways can cause intense pain and injury. Bracing yourself when you fall can cause bruises, sprains, and even broken bones in the arms or collarbone. Falling onto your back can result in broken tailbones, broken vertebra, slipped discs, and ongoing back pain. You can also injure your collar bone, ribs, hip, or pelvis in serious falls. Any fall could result in traumatic brain injury (TBI) if your head strikes the ground or an object on the way down. TBI is a much more severe version of a concussion, and occurs when brain tissue itself suffers serious damage. The effects of brain injuries can be catastrophic, if not fatal. Serious brain trauma can result in memory problems, motor control problems, personality changes, mood swings, trouble organizing thoughts, and dozens of other negatives. The worst cases may make a victim wholly unable to care for themselves, and may require medical treatment for the rest of their lives. These injuries are not limited to slip and falls or falls onto the track. Many MTA train platforms are raised off the ground, positioned next to hills, or have large staircases. Unsafe hand railings, deteriorating structures, poor lighting, and other factors can all contribute to a trip and fall or a fall from a high place. Poor lighting or monitoring can also lead to injuries from crime victimization. The duty element is similar to the duty that all property owners owe guests to their property: a duty to keep them safe from hidden dangers. The MTA is responsible for cleaning up ice and debris that may cause a slipping or tripping hazard. Sometimes, mere warning of an issue might be enough to temporarily fulfill this duty. For instance, if a staircase is broken, they may rope the area off and repair it later. 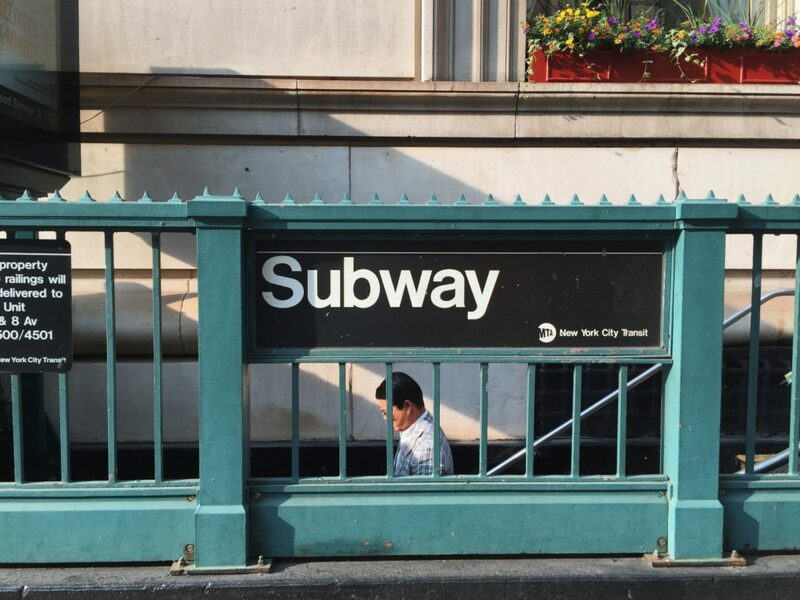 If the MTA fails to keep its property safe, and it leads to your injury, you may be entitled to file a lawsuit for compensation. The compensation for an injury case like this can include any financial or physical effects of the injury. That means compensation for medical expenses, lost wages, pain and suffering, and other results of the injury. Filing your case may be subject to certain deadlines, known as “statutes of limitations.” It may also be difficult to understand what your case might be worth before consulting an attorney. The MTA may try to convince you to take a low settlement offer, but you should remember that the MTA does not represent your best interests, and you may need an attorney to help you protect your claims. The New York MTA property injury lawyers at Sullivan and Galleshaw represent victims of MTA negligence throughout New York City and beyond. For a free consultation on your injury case, contact our attorneys today at (877) 311-HURT.